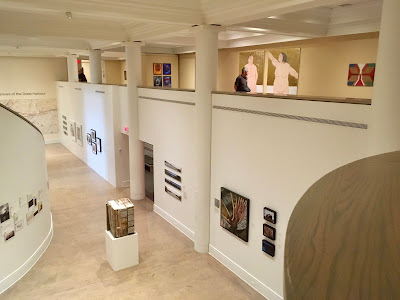 The collection is housed in the two buildings that face the courtyard (above) and getting from one to the other is via an underground walkway. 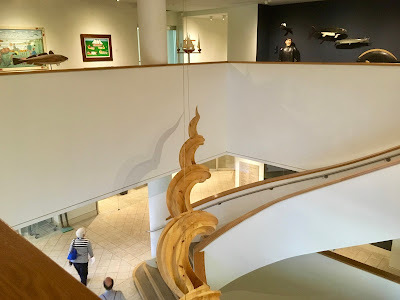 The interior is modern and spacious with winding staircases and magnificent views. 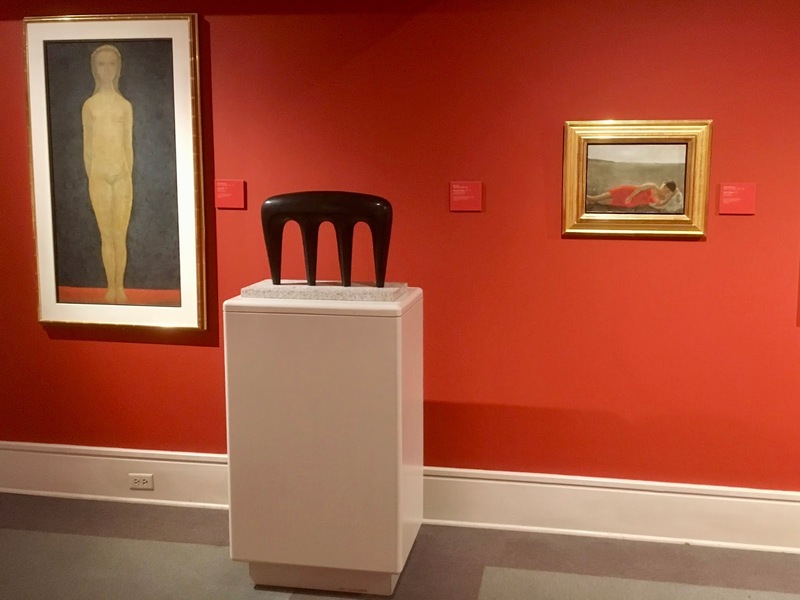 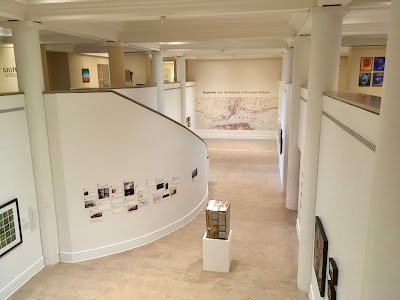 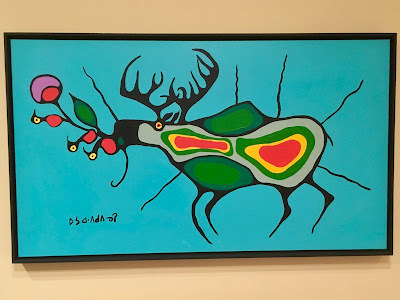 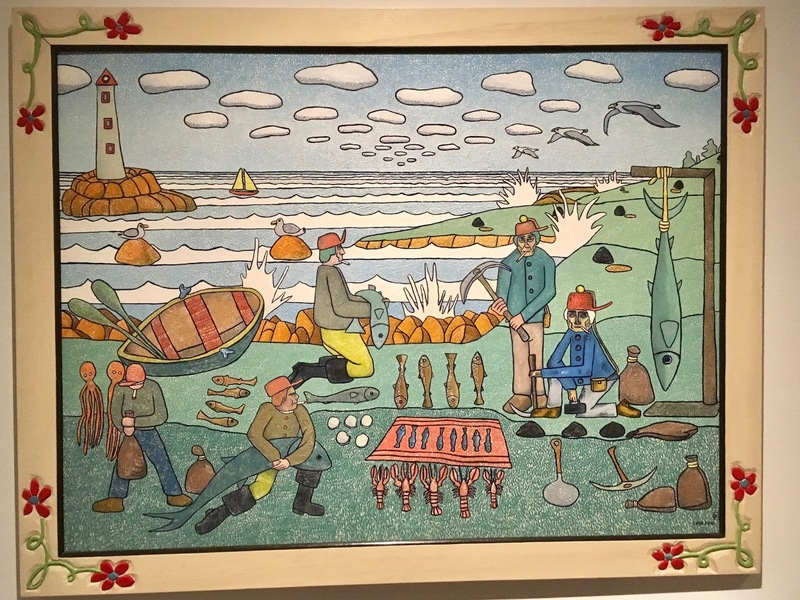 All exhibits focus on or have a connection to Nova Scotian or Canadian artists. 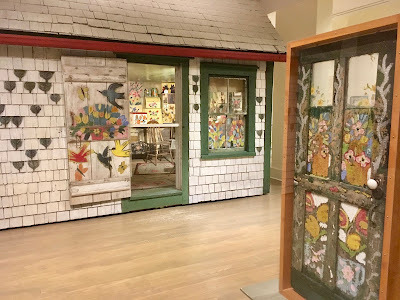 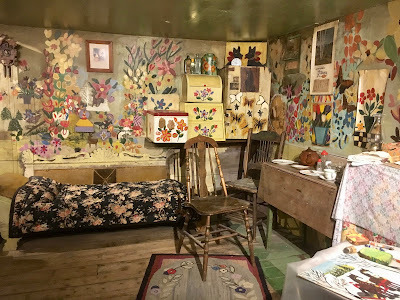 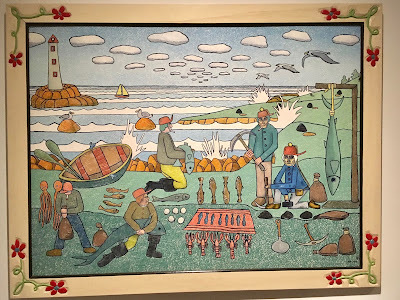 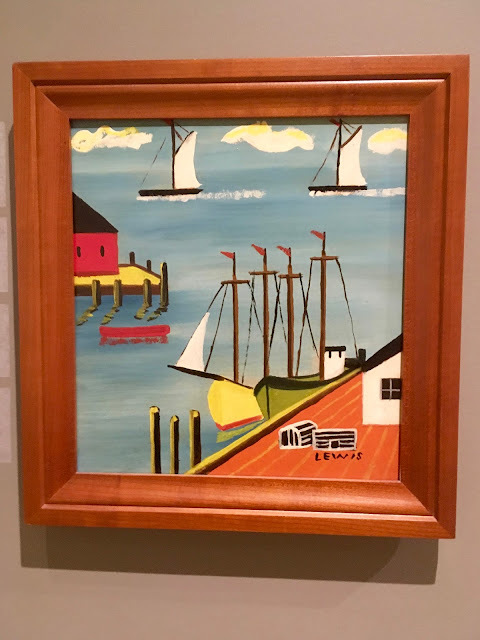 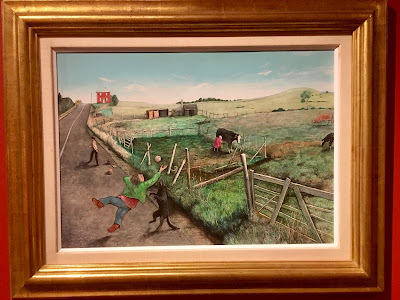 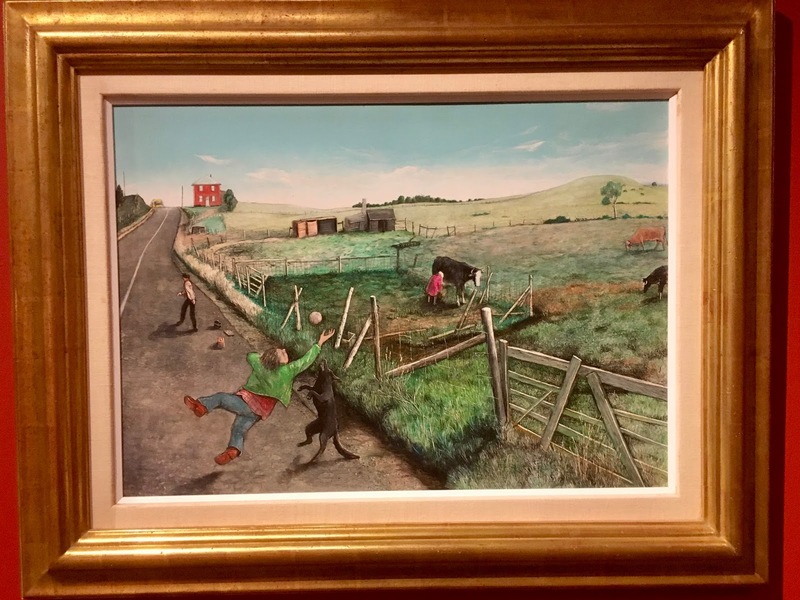 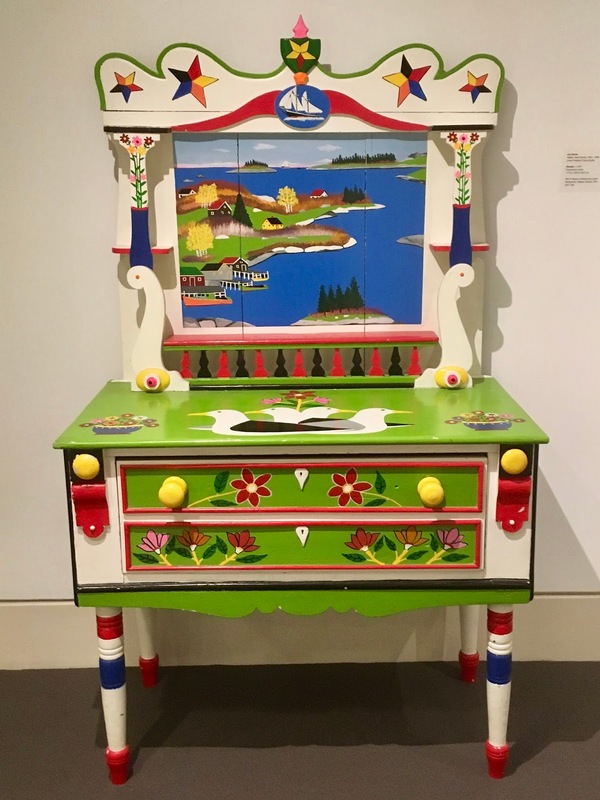 When it comes to folk art, Nova Scotian Maud Lewis is a super star. Untrained and a recluse most of her life, her work illustrates the strength of the human spirit. Born with a number of disabilities - painfully deformed fingers, hunched shoulders with her chin pressed into her chest - she lived most of her married life in a one room shack without electricity or running water. 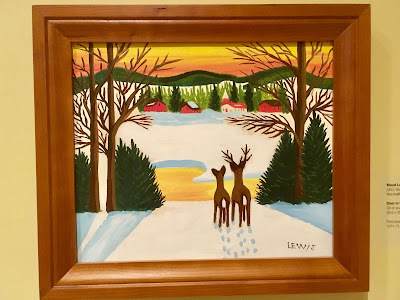 Still, she managed to paint scenes that show happier times. Included in the exhibit is the one room cabin she shared with her husband, Everett. 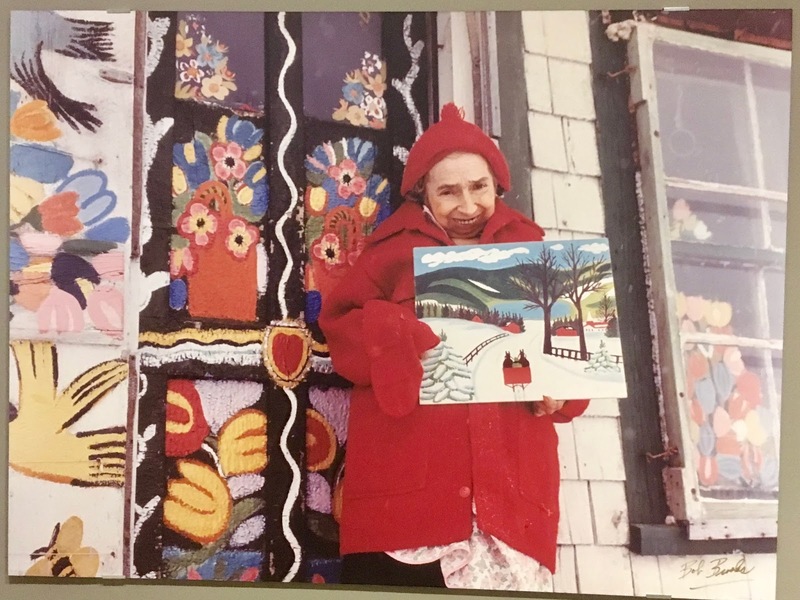 She painted the exterior, including the door (shown separately below on the right). 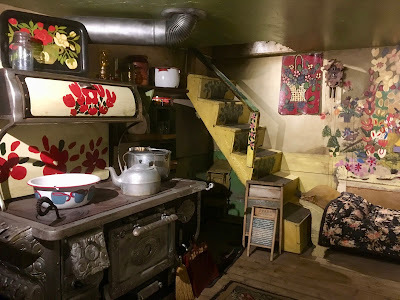 She also painted every square inch of the interior, including the stove. 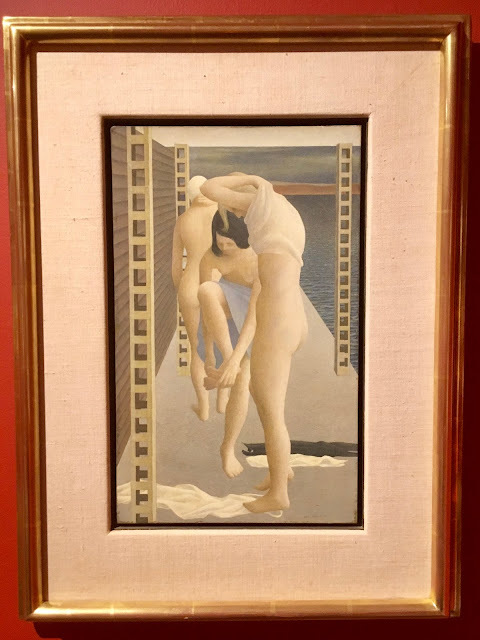 As is the case with many gifted artists, the most her paintings fetched during her lifetime (1903-1970) was $10. 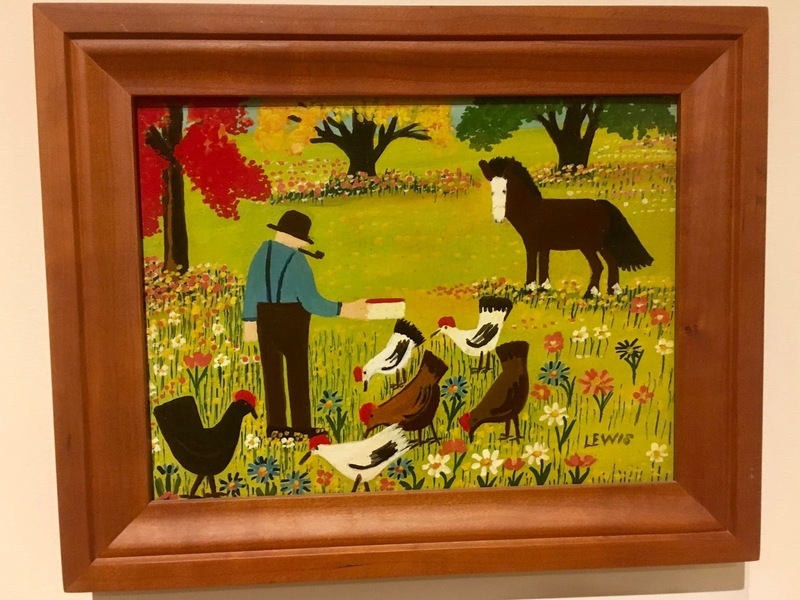 Now, they are worth thousands and the merchandise based on her work alone has fetched more than $100,000. 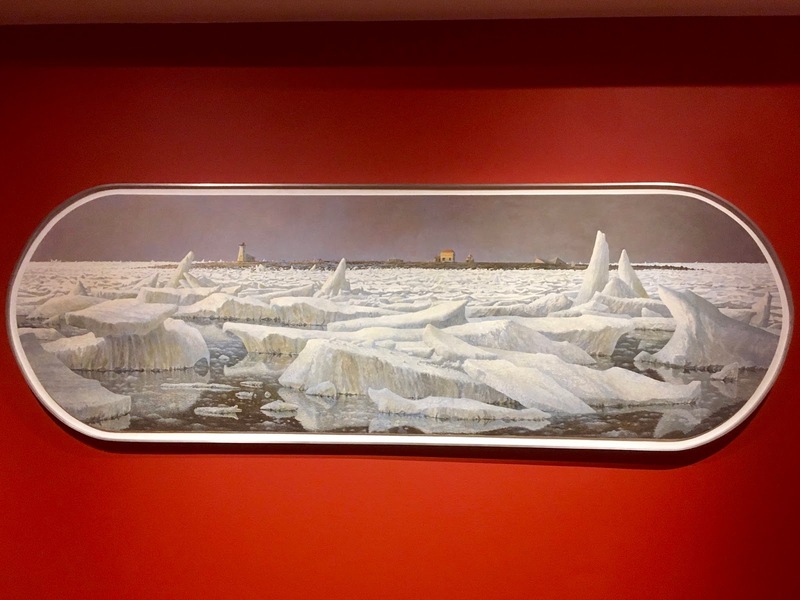 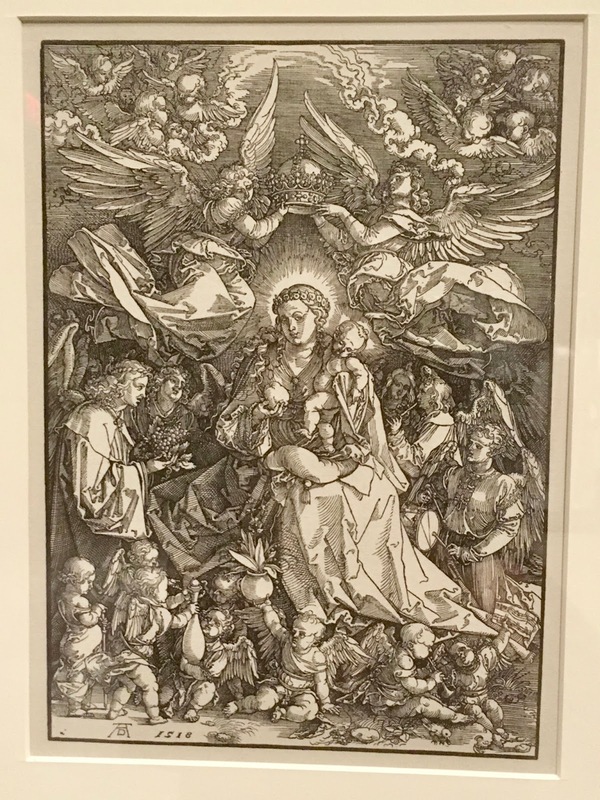 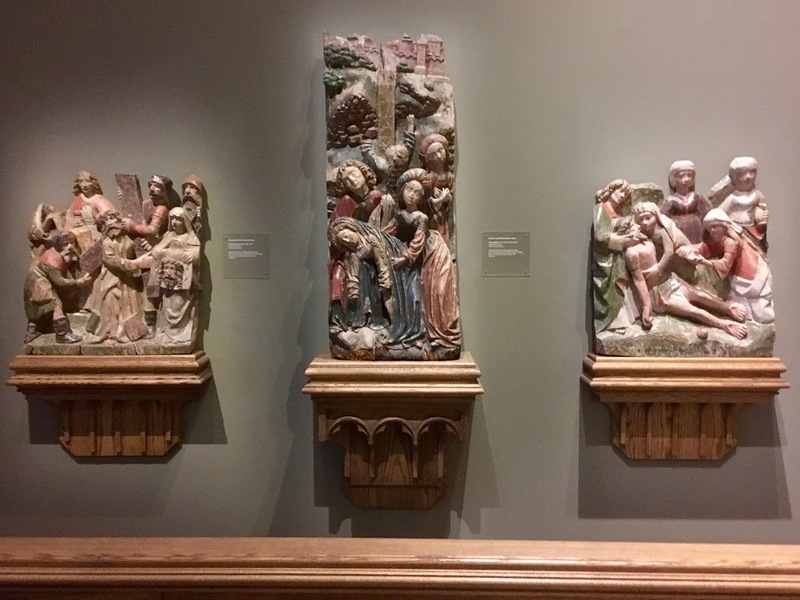 The Art Gallery of Nova Scotia also includes some fine examples of medieval European art. 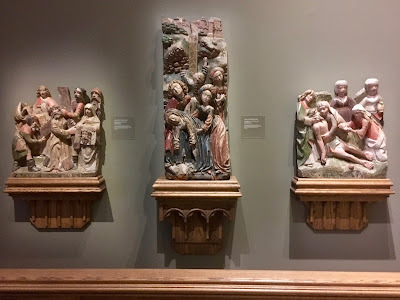 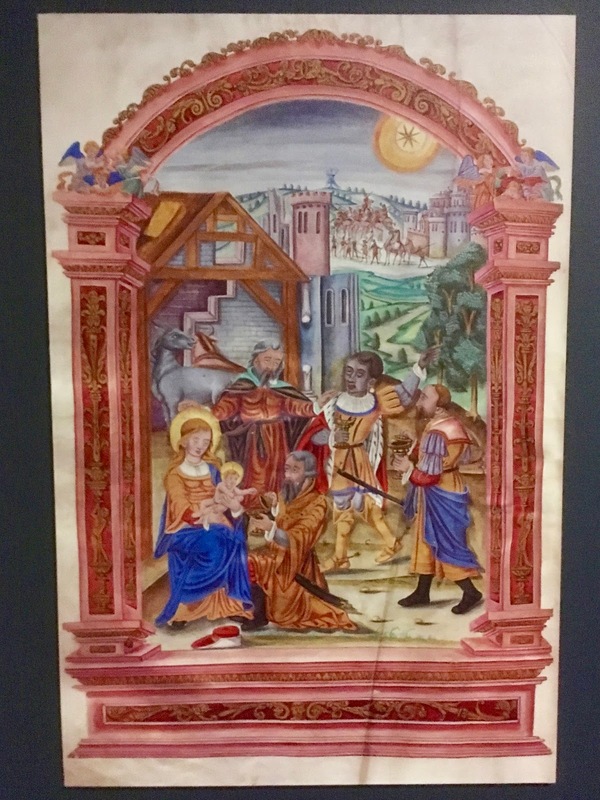 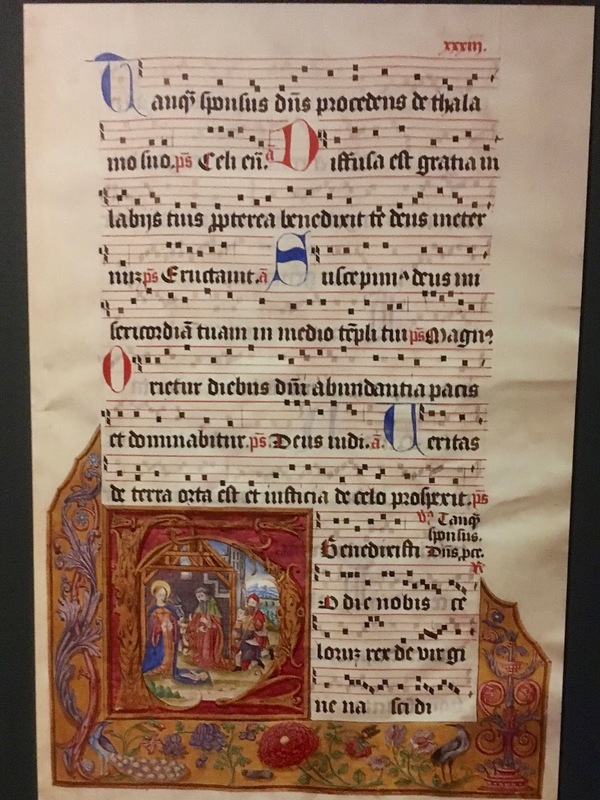 The highlight or our visit, at least for me, was the Salzinnes Antiphonal exhibit. Not only did it feature the oversized manuscript or choir book, but playing in the background for the first time in centuries were songs taken directly from its pages. The combination of sight and sound was awe inspiring. 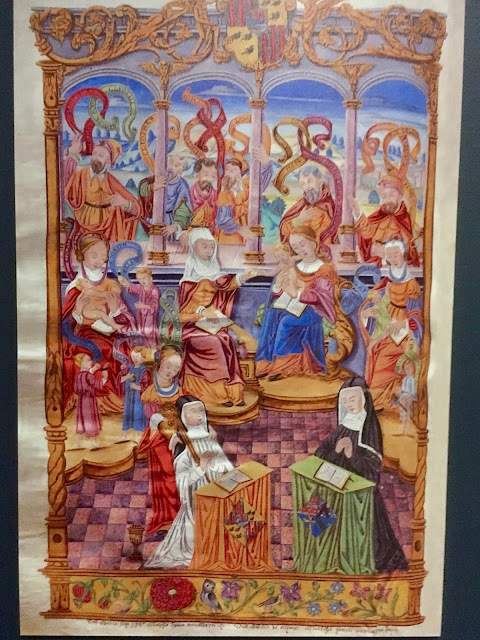 Commissioned in 1544-55 by the former cantrix and prioress, Dame Julienne de Glymes, of the Abbey of Salzinnes, the antiphonal would have been placed on a lectern and be visible to the entire choir. It contains 480 pages of parchment and measures 61.5 x 39.5 x 14.5 cm. 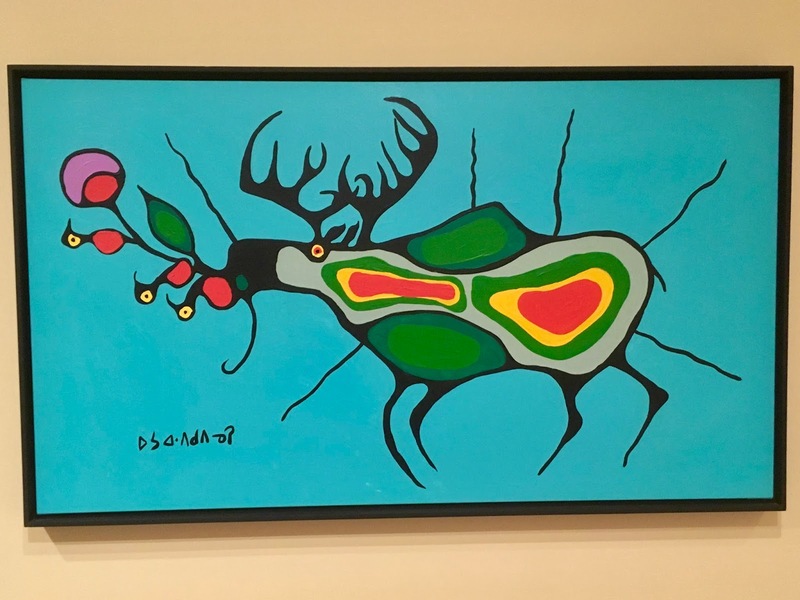 It weighs 16.3 kg. 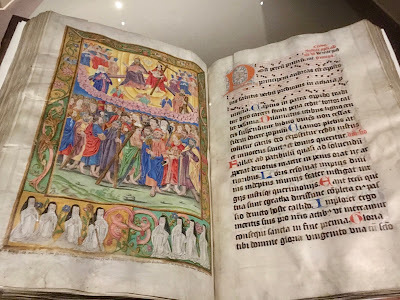 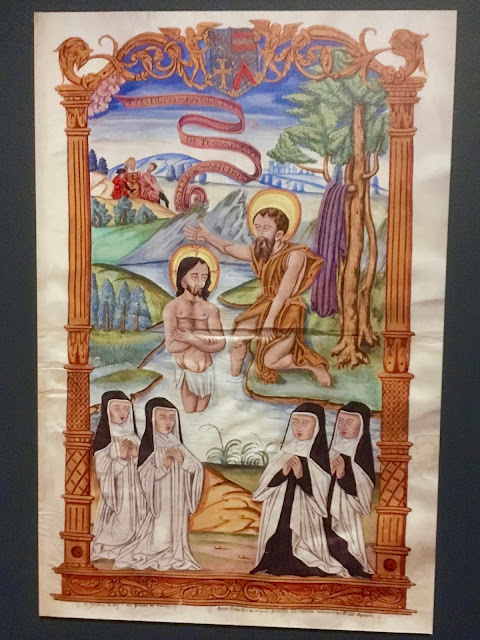 Impressive not only for its sheer size, the manuscript includes beautiful text script, liturgical chant notation, images of individual nuns identified by their names in block and cursive script and sometimes their coat of arms. What is amazing about this antiphonal is that it was created in 1554-55 for use in a secluded abbey for a small group of devotional women. 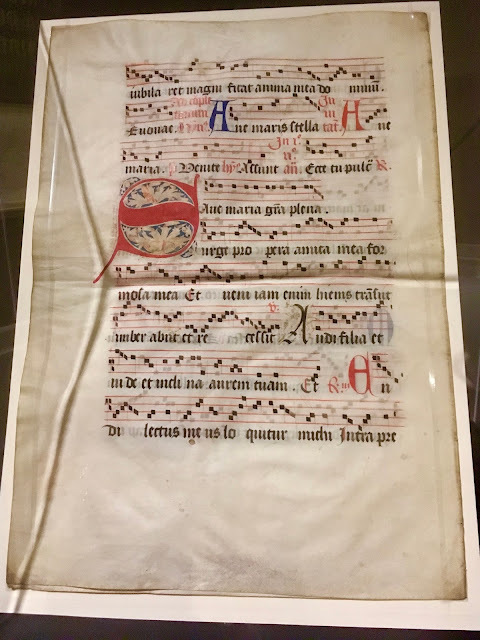 It has survived four and a half centuries through wars, natural disasters and a trans-Atlantic voyage where other antiphonals have been wantonly destroyed or torn apart and sold page by page for profit. 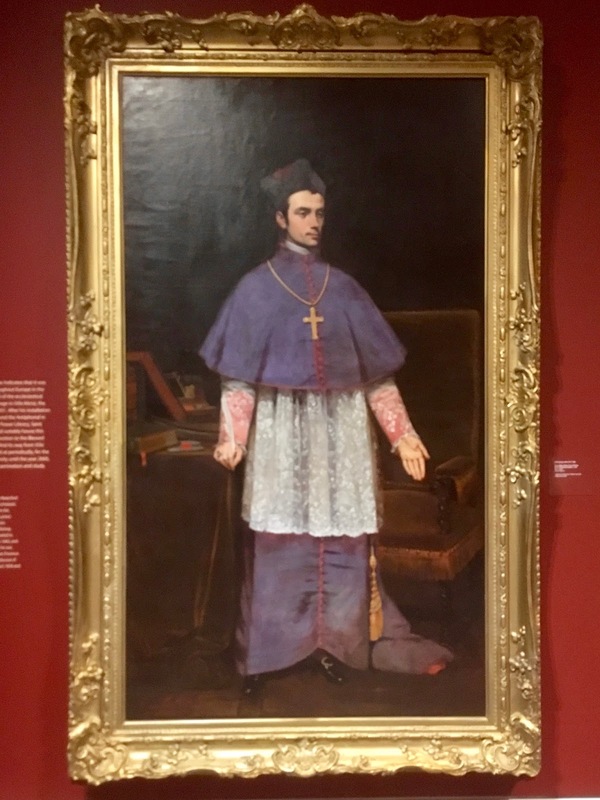 How it came to be in Halifax is due to this man, Bishop William Walsh. 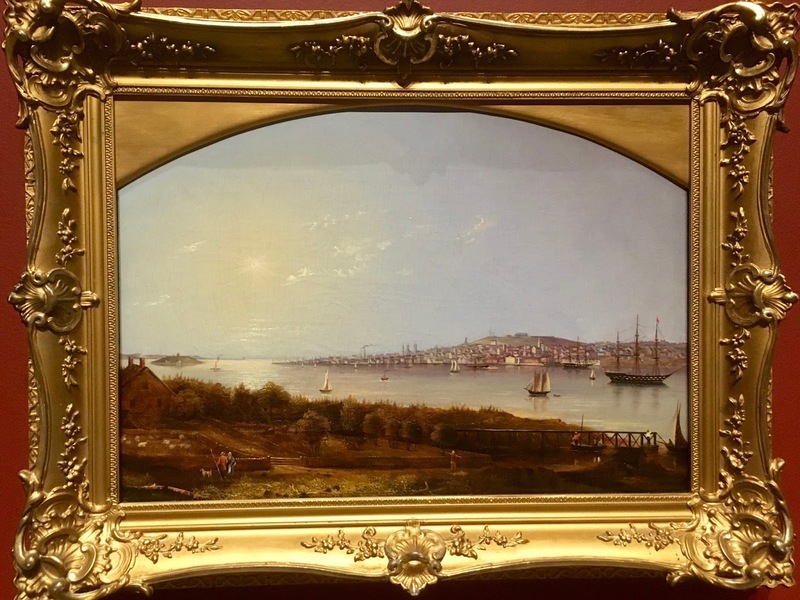 He likely acquired it during his travels throughout Europe in the 1840s and 1850s. 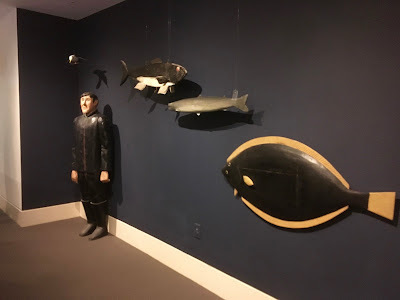 Once he arrived in Halifax it was put in storage and basically forgotten until 2000 when it was brought to the Art Gallery of Nova Scotia for examination and study. Moving on to the second building, the exhibits focus on more recent Canadian art. 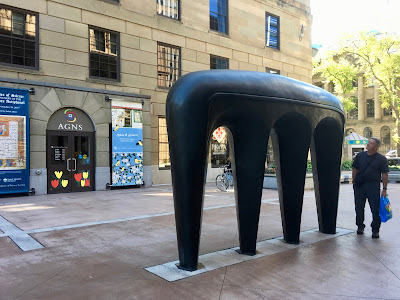 Also on display is the maquette for "Origins" (on display in the courtyard outside the AGNS) 1993-1994 by John Greer. 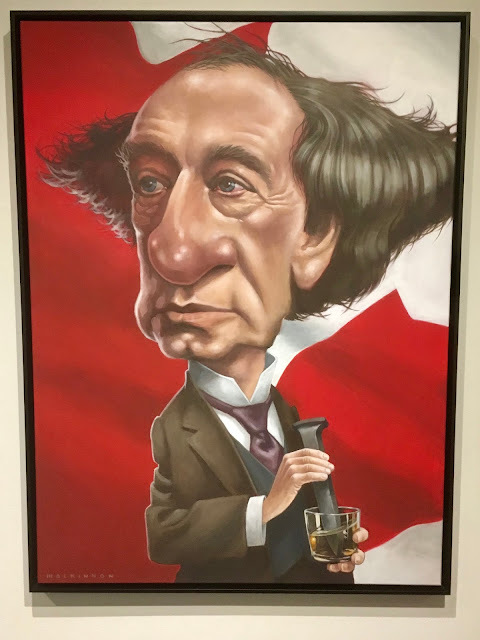 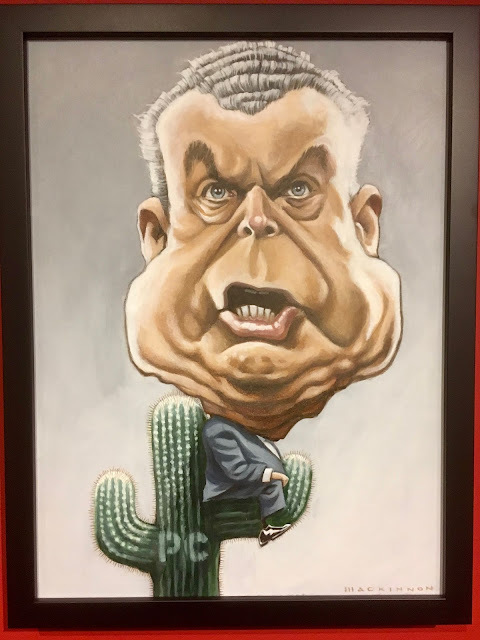 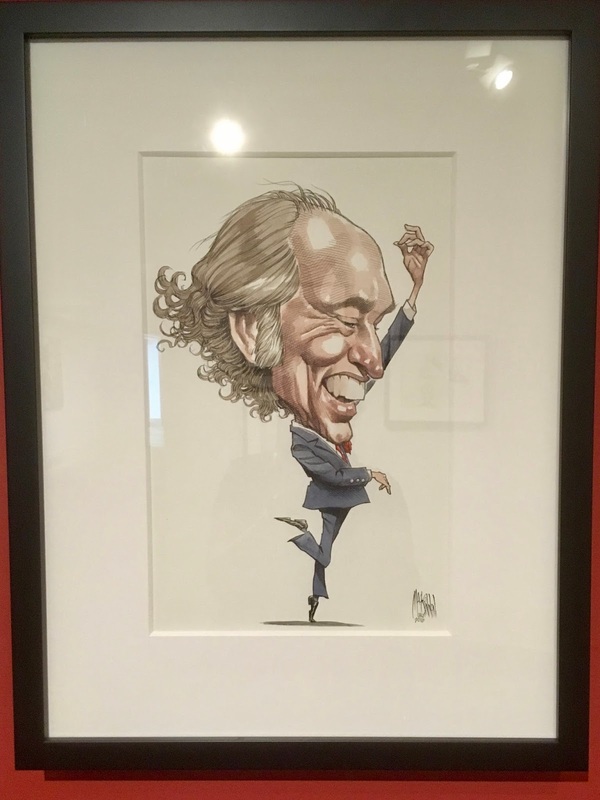 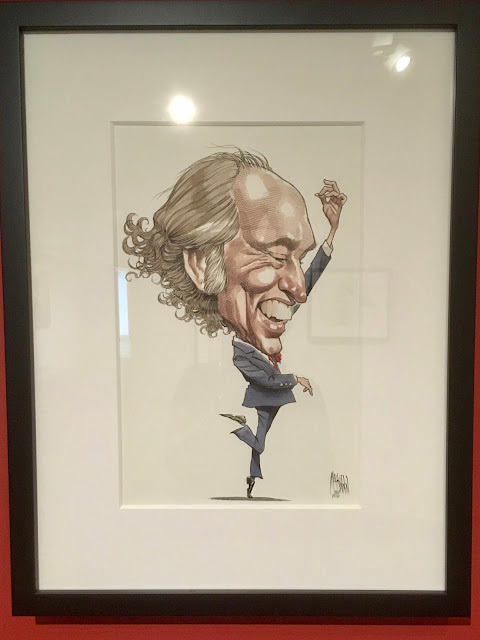 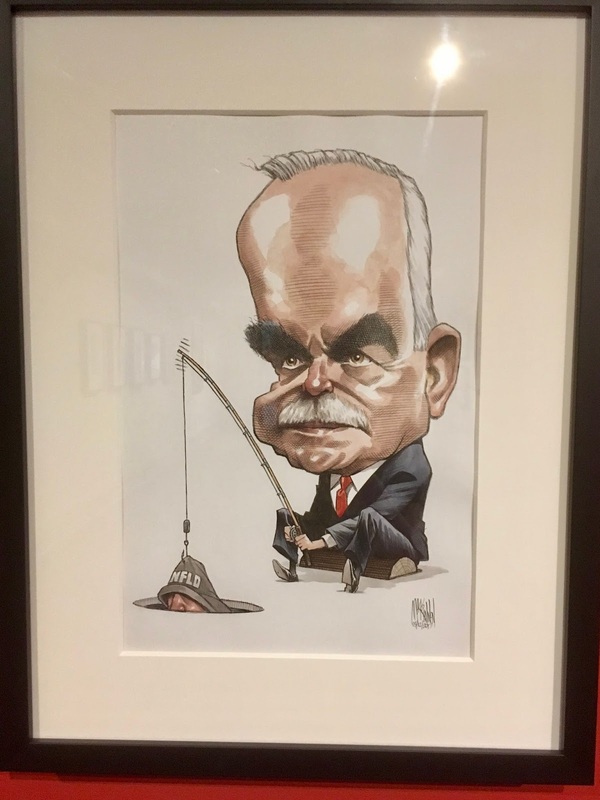 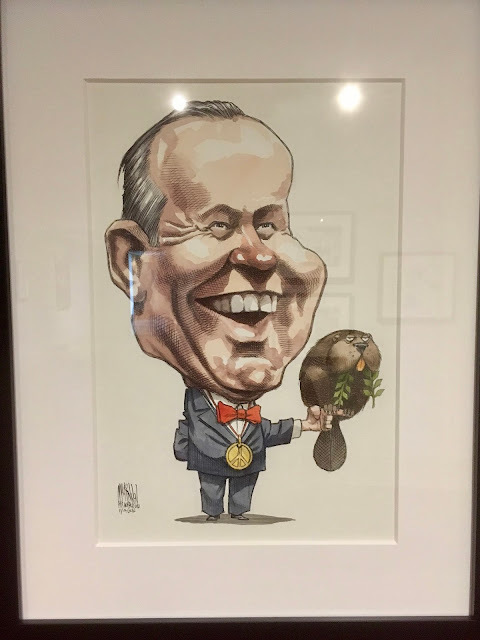 A special exhibit by Halifax based editorial cartoonist Bruce McKinnon focused on the "Prime Suspects" - all 29 Canadian prime ministers - but I narrowed it down to a favourite few!